Pregnant? Then you'll be interested in our 8 week Pre-Natal Reformer/Mat Pilates Course. Based on STOTT Pilates international leaders in contemporary Pilates practice Pre-Natal Exercise programs, this ante-natal Pilates course will support you in maintaining and developing good health, strength and relaxation throughout your pregnancy. This small class size course will help you build a foundation of strength and breathing techniques to support you in labour and in looking after your newborn. It also lays the pathway to regaining your figure after the birth, and ensuring your pelvic floor and core muscles remain strong. 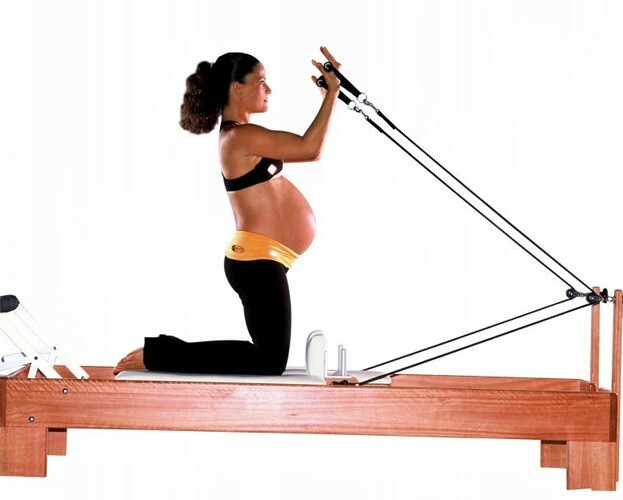 If you have not done Pilates prior to getting pregnant then please wait until you are 14 weeks before attending class. If you have attended Pilates regularly prior to getting pregnant you may start earlier if your maternity care provider approves, but keep an open dialogue with the instructor as to how you are feeling and dealing with the exercises. Running weekly on Monday nights at 7.30pm the course has a maximum of 5 attendees. So be in quick to reserve your place for this course starting Monday 8 April 2013. Please note we recommend getting approval from your Doctor or Midwife before commencing any exercise programme during pregnancy.